Today on Podcast Playlist, Insider Information. Podcasts that dig deep into the stories behind who we are, what we’ve been through, and what we’re capable of. This week on Podcast Playlist, we've got the insider information, behind the scenes looks and industry secrets. We're sharing podcasts that dig deep into the stories behind who we are, what we've been through, and what we're capable of. It's Podcast Playlist: the insider edition. CBC's David Gutnick was one of many international reporters who arrived in Haiti, in 2010, days after the country was hit by a devastating earthquake. He was charged with the responsibility of reporting the devastation from the inside. Back Story is a podcast that follows CBC's top reporters behind the scenes on their biggest stories. In this episode David Gutnick reports on the aftermath of the earthquake he reported on in Haiti. Listen to the full episode of Back Storyhere. 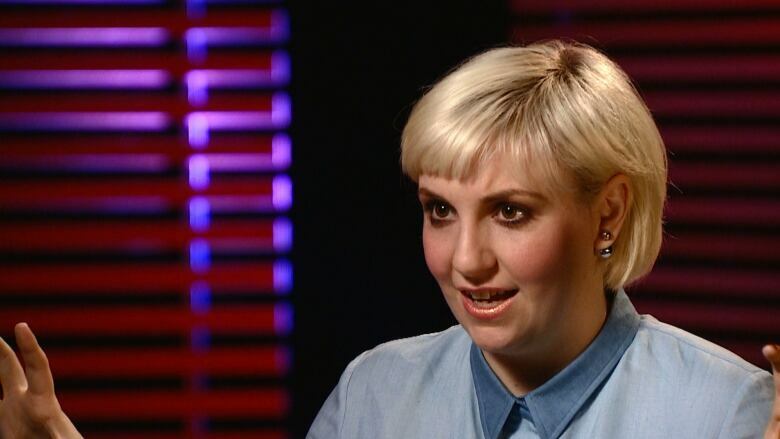 Lena Dunham is the creator, writer, sometimes director, and star of the hit HBO television show, Girls. She also hosts a new podcast called Women of the Hour. The show is about the lives of four twenty-something women living in New York. For a lot of young women, Girls is one of the only places on tv where they see a fuller portrayal of themselves and they love it. But for some, it's an opportunity to criticize. In this episode, Lena takes us into the minds of remarkable women. If you're a parent or a young adult, you're an insider on the topic of this podcast: Millennial and the job market. The lack of jobs available to university educated young people is igniting a vicious economic cycle. In record numbers, new grads are staying at home with mom and dad. They're unable to leave because the cost of living has increased, but the rate of pay hasn't. That is, if you can even get a job. Megan Tan is a recent graduate of journalism school. Her podcastMillennial follows her as she pursues her dream of being a radio producer. But it's not easy going. This episode is about Megan trying to find a job. Any job. Being a flight attendant comes with the perception of living a life of jet-setting international glamour. Travelling all over the world, meeting new people everyday.But what happens if some of those new people you meet are annoying? As a flight attendant you have to be polite and conscientious to everyone for the duration of the flight, but in Betty in the Sky with a Suitcase, listeners get to hear the inner monologue of their smiling flight attendant. "You get yourself psyched out, and it becomes this big mind game." — Eric Stirpe, Stuttering is Cool. Growing up, one of the first things you learn to say is your own name. It seems simple, but can be a great source of anxiety for people who stutter. Stuttering is Cool features and celebrates those who stutter. Is there a behind the scenes podcast that you love? Send us an e-mail, tweet us @PodcastPlaylist, or find us on Facebook.